A steady rain and a breath of fresh air rarely feels as good as it did on Sunday afternoon in Missoula. The cold front that provided the refreshing moment was desperately needed after a couple of weeks of poor air quality that caused problems for much of the state. Northwest Montana got the worst of it, with smoke was so thick Saturday that event organizers cancelled both the Garden City Triathlon and the Roots Run. There has been a number of years that the Roots Run went on despite the smoke, but it has never been as thick on race day as it was Saturday. Canceling an event is a tough call for a RD to make, but in this case it was the right call. Along those lines, I've been keeping an eye on the web cams at Big Sky Resort in anticipation of next weekend's Rut and I've yet to see it anywhere near as smoky as what we've experienced in Missoula over the past couple of weeks. So we should be good to go! UTMB: For some of us, the smoke provided a great excuse to postpone our Saturday morning run to catch the final hour of the Ultra Trail du Mont Blanc (UTMB) where Seth Swanson worked his way up through the top ten in this deep international field and, after 22 hours, over 100 miles, and in excess of 30,000 feet of elevation gain, took 4th overall. Seth's run is especially impressive considering he finished 2nd at Western States 100 just 2 months ago and fought in an extremely tight back and forth battle up to the very end where just 28 seconds separated him from 3rd place. It was a spectacular effort to say the least. In this iRunFar.com interview Seth tell how it all went down. Missoula's Chase Parnell recorded a UTMB finish as well, coming in 120th out of the 2300 starters in just his 2nd 100 miler. Well done guys! 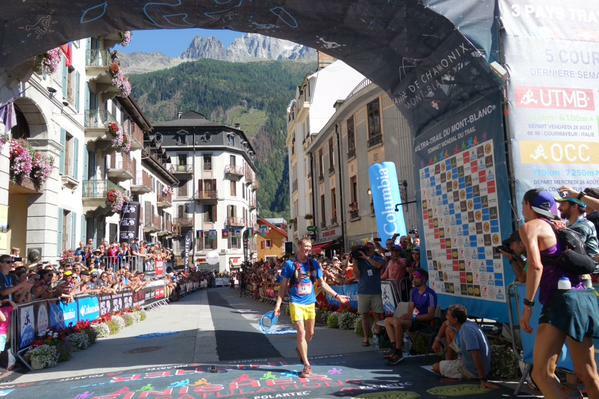 As we made note of last week, Seth is the 4th Missoula-trained runner since 2010 to finish in the top 4 at UTMB. The likelihood of one town producing that many top finishers there is really slim and it speaks to the special thing we have going here with Montana trail running. We've posted about this in the past, but in case you missed it, here's one worth checking out: "Weekend That Missoula Sat on Top of the Ultra Running World"
Mountain Monday: Today is the last Mountain Monday group run until after Labor Day. As usual we're meeting at noon at the Clark Fork River trout statues beneath Higgins Ave. Bridge. Hope to see you there.